Stories from afar – that is what this album is all about. 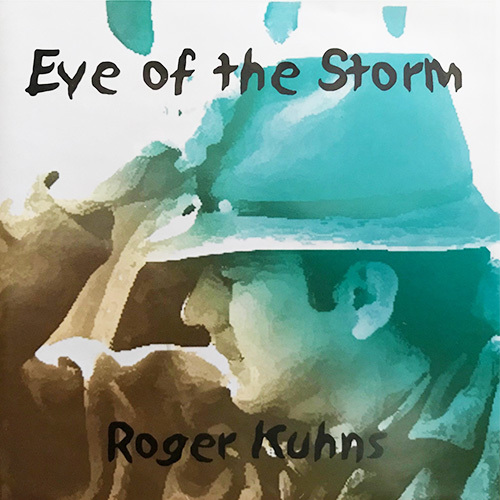 Roger Kuhns wrote these songs while living in Cape Town South Africa, and during his meanderings across the African continent. These story songs were expertly recorded at London Connection Recording Studios in Cape Town with an international group of musicians. They tell of personal and larger events as well as the humorous Sumbawanga, a remote town in Tanzania, where Kuhns was mistaken for Jesus (he had a beard then) by a persistent Swahili speaking waitress. A poignant song, In The Name of the Father, recounts the pain of being away from his son because of work and travel. Oceans in My Eyes, which was featured on a Cape Town radio station and a favorite at local performances, contemplates the wandering heart of an expatriate who forever dreams of a peaceful shore. The sonorous Blue Ocean, which years later was sung in Carnegie Hall by Eli Mattson, contemplates our environment through watching the oceans. Kuhns is a storyteller more than a singer, so the lyrics and music are truly worth taking in on an afternoon where you can get lost in the imagery of an unusual time and place.